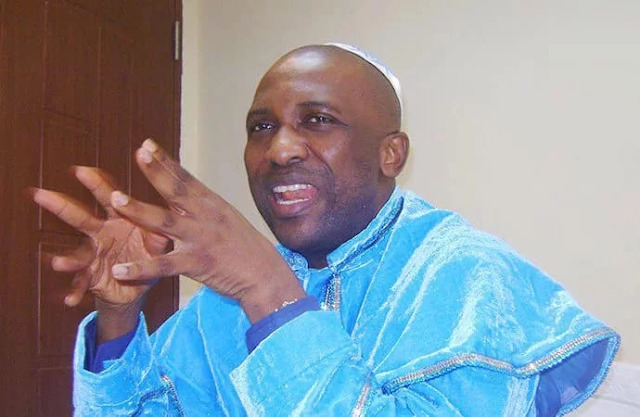 Primate Babatunde Ayodele, the General Overseer of Inri Evangelical Church has reiterated his call for the Senate President, Bukola Saraki to run for President in 2019. He said Saraki will put Nigeria on the path of progress should he contest the presidential election in 2019. The clergyman spoke during the commissioning of a newly built 50,000 seat Temilaseyori mini-cathedral branch of the Inri Church in Badagry, Lagos State. He also warned President Muhammadu Buhari to step down and renounce his decision to seek re-election. According to Ayodele, “Saraki should come out to contest. It is the word of God. Buhari Government is not in the hand of God any longer; his government cannot meet up the needs of the people, not even the problem of herdsmen in the country which his government cannot control. “He should step down so that he will not be disgraced like the former. Saraki will do it better and no matter what names people might be calling him, Saraki can move Nigeria forward come 2019. “In 2013 we told Jonathan that he cannot win, and we repeated it in 2014, but he refused and lost out. During the Liberia presidential election, I told George Weah that he should strategize to win. Ayodele had recently said there would be dire consequences if Saraki refuses to contest for presidency in 2019.